When is the last time you had your alone time staycation? Although I’m always alone, coz my boyfriend is frequently jetting, the point is I still enjoy my alone-time, especially during weekends when I feel too lazy to go out, and to appear during weekends product launch and parties. And who doesn’t like spending in a nice place, with a good environment just like in Dusit Thani Manila. Spending my weekend on staycation (either in hotels or resorts) helps me to get inspired on my writings. But why spend a lot when you can do staycation just at home? Well, that’s the point! When I stay at home even on weekends, I feel so intoxicating, definitely not inspired and I want to see and experience next things every now and then (maybe it’s because it is my nature as an adventurous person, I think most Sagittarians would understand). 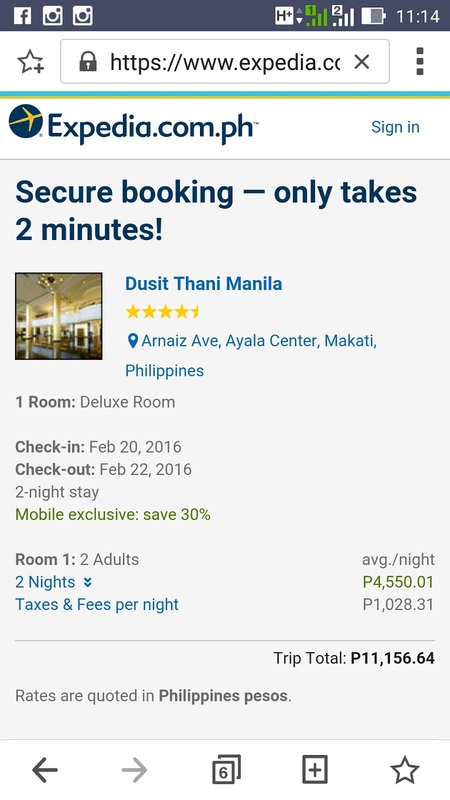 So last February and feeling inspired and spontaneous, I booked myself a Deluxe Room at Dusit Thani Manila via Expedia mobile. I like securing my room accommodation via Expedia because it is so easy to use and access, plus they offer awesome hotel discounts! So for this staycation, Expedia gave me 30% Off price coz I booked via Expedia mobile. Pretty awesome right?! 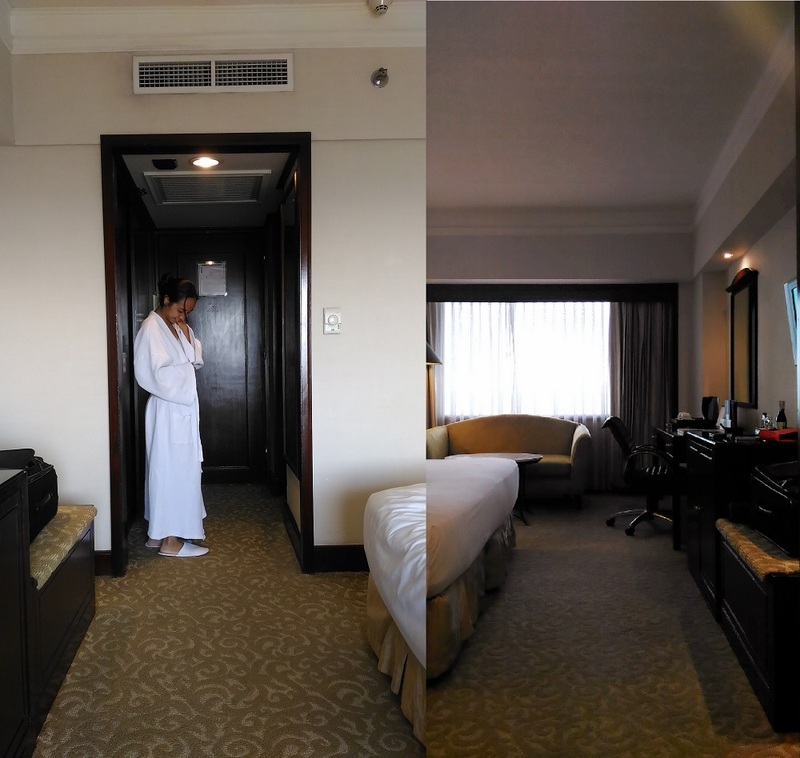 After securing my hotel room, (yey!) I packed my things and booked my transport using GRAB which only took my 15minutes of travel time from my residence. Working table where I can do my writings and research online. Plus a flat-screen television which I enjoyed watching international channel like HBO, CNN, Arirang and NHK World. A bathroom with complete toiletries, new towels, a hair dryer, and a socket if you want to charge your phones while you are in a bathroom. It was a very good and sunny day, and I feel like I want to take a dip and have a splash on their pool, but I didn’t. 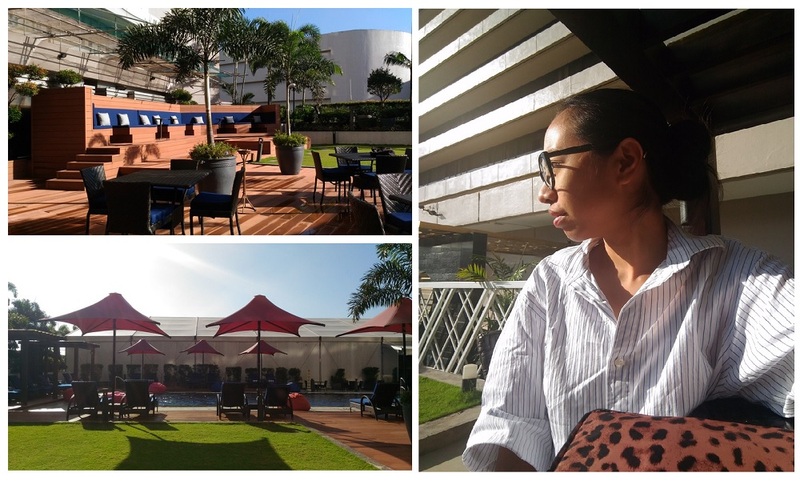 That time, the pool was accommodated by kids (which I’m not a fun of sharing a pool with them) though I enjoyed sipping my mango juice and enjoying the rays of the sun while I read the newspaper, and listing down some inspirations. 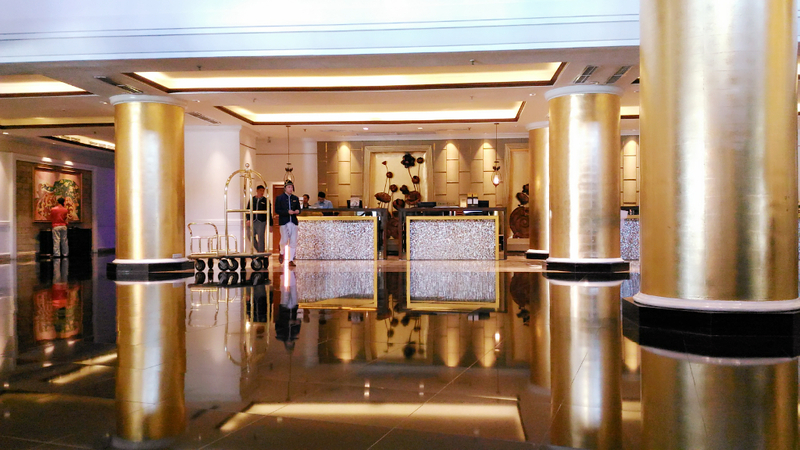 Lobby and their elevator all adored in gold-themed. 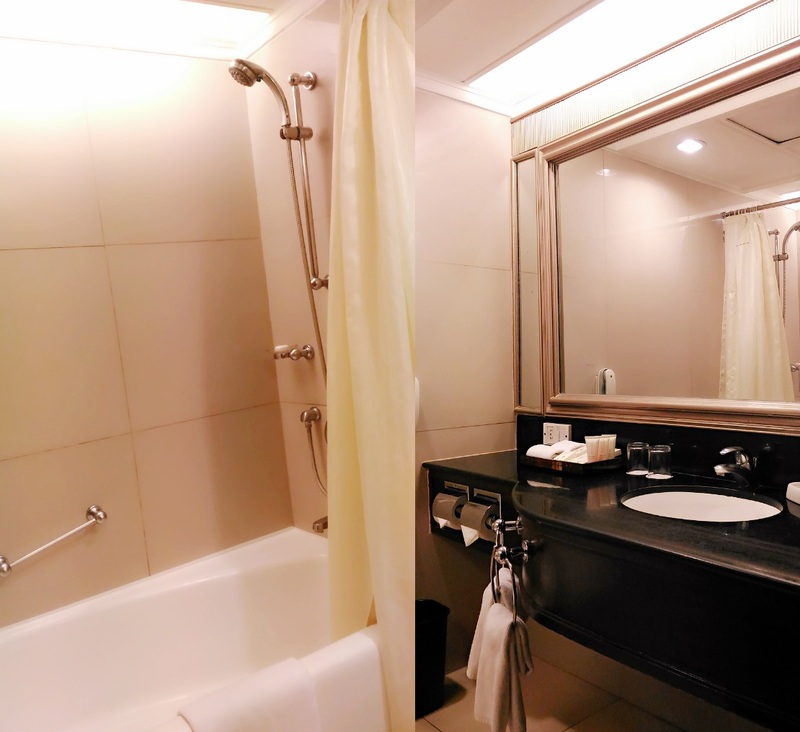 Another reason why I chose Dusit Thani Manila for my weekend staycation is that I feel like this is the closest thing I can avail for if I want to feel that Thainess-effect. I mean, I haven’t been to Thailand, and it is also part in my bucket-list to explore the country and (feel / absorbed to the maximum level) its beauty. And since that trip is not happening yet, I thought why not staying at the hotel that offers the best Thai hospitality or I call it Thainess-effect, the moment you step inside their premises. (Pardon me but that’s the way I think and appreciate things around me, I’m a bit of bipolar I guess, hahaha). 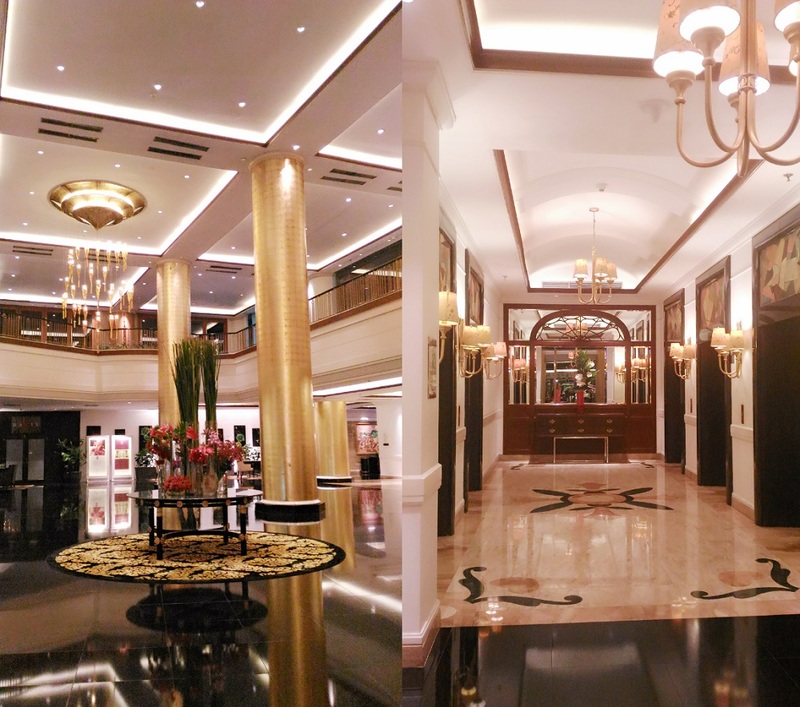 Just look at their high-ceiling lobby adored with gold (oh I wish those are real!) that shows royalty and elegance. Also you’ll gonna love its Thai scents that is so relaxing, and you’ll think “ohh I’m in Thailand”. 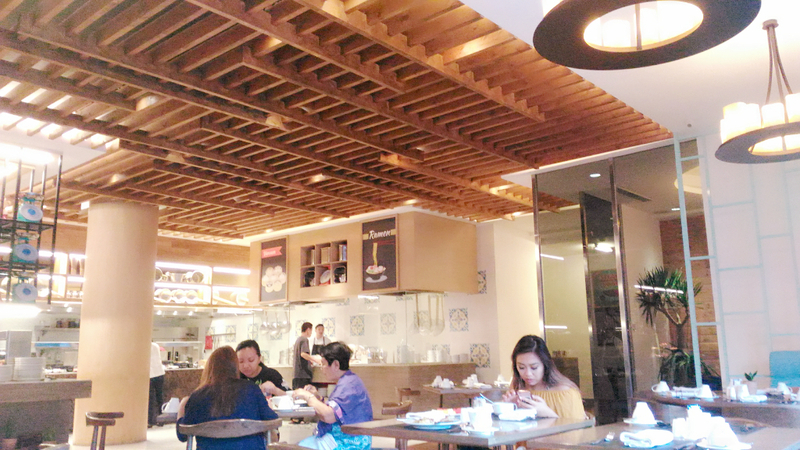 I’m also loooovvvee to eat and Dusit Thani Manila’s The Pantry is one of my favorite. 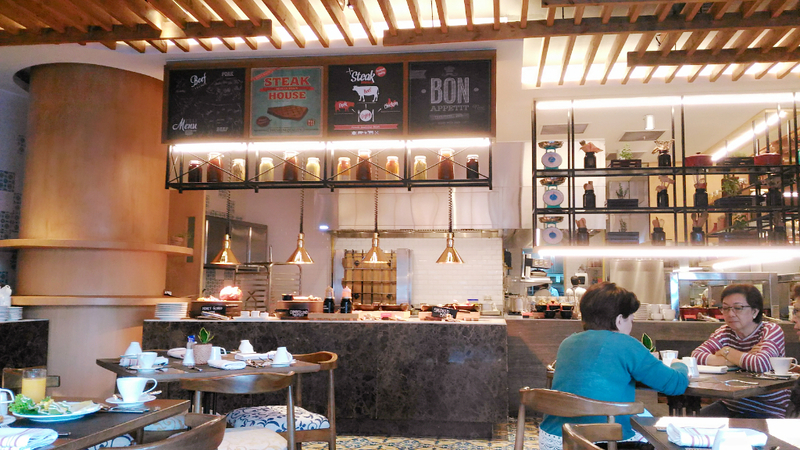 So I enjoyed my two days breakfast at The Pantry, and I tell you that you’ll gonna love it too! They serve continental and international buffet breakfast that I really enjoyed. I mostly don’t eat at lunch because I usually take my brunch where partake most of their foods. Some of my breakfast.. yum! 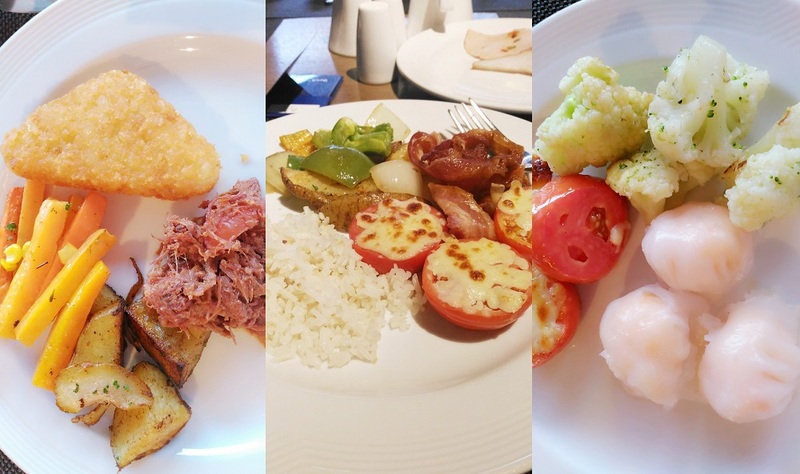 I am not a die-hard fan of buffets (only during breakfast) so definitely I recommend The Pantry for you guys who always have a big-appetite. Ohh their buffet are open also for lunch and dinner (but that doesn’t include to every room accommodations). So if you are going to The Pantry, you must have a game-plan! And if you are looking for vegan and halal foods, The Pantry also serve it too! 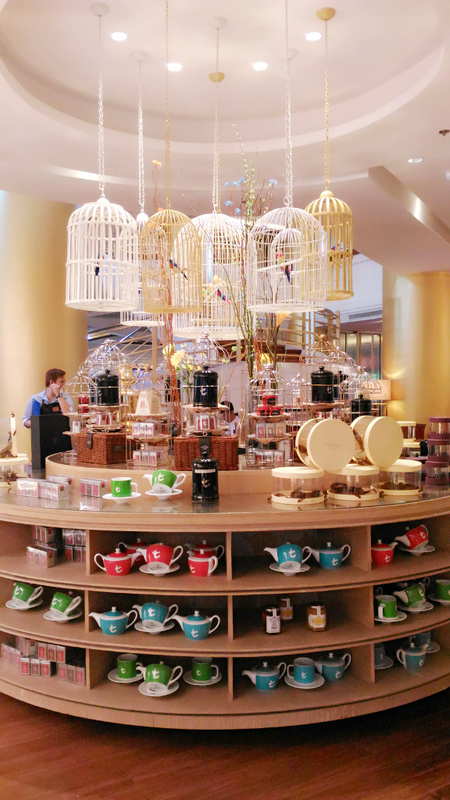 I love this tea-section so élan and inviting! Spending my relaxing staycation in a hotel makes me more productive and inspired. That’s why I can’t leave my laptop and cameras at home, it is my change to capture those inspiring thoughts and also do my photo shoots for my upcoming reviews. Kind of expensive way to get inspiration and feel relax at the same time, but yeah that’s me. I’m so thankful and feel blessed that I can do it. 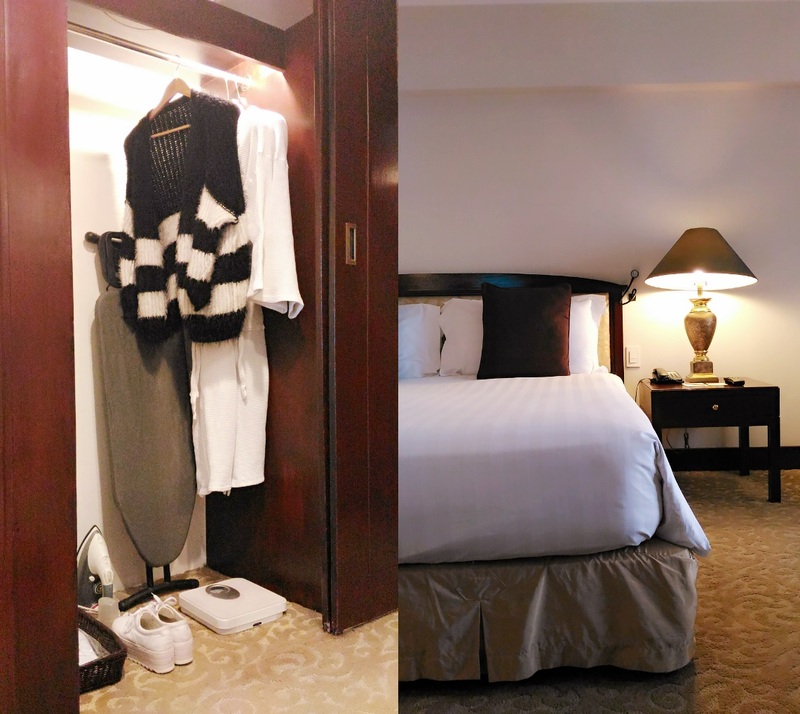 Is Dusit Thani Manila a pet-friendly hotel? 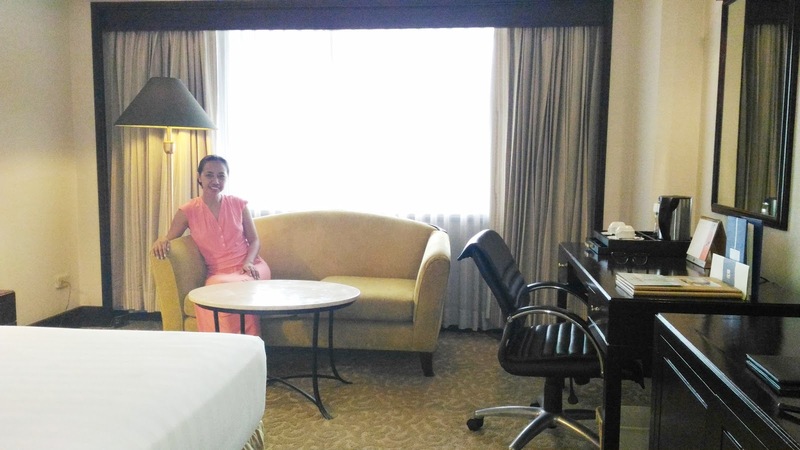 According to my experience and observation, Dusit Thani Manila is a pet-friendly hotel. I saw number of guests who tagged their furry babies with them, and the hotel staffs are well-trained. Also if you are planning to bring along your fur-babies, please be responsible with them. Hotels staffs are not your hired nannies who will keep an eye for your babies. 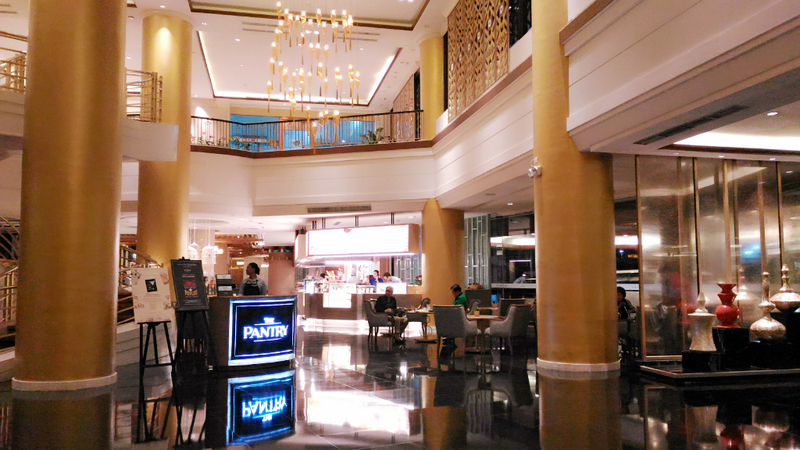 Is Dusit Thani Manila a child-friendly hotel? Definitely Yes! During my stay, I saw lots of kids hanging around with their parents and nannies, and seems they are enjoying their stay. I also noticed that in The Pantry, they also serve some foods that good for kids, so I think there is no issue to bring along your kiddos. 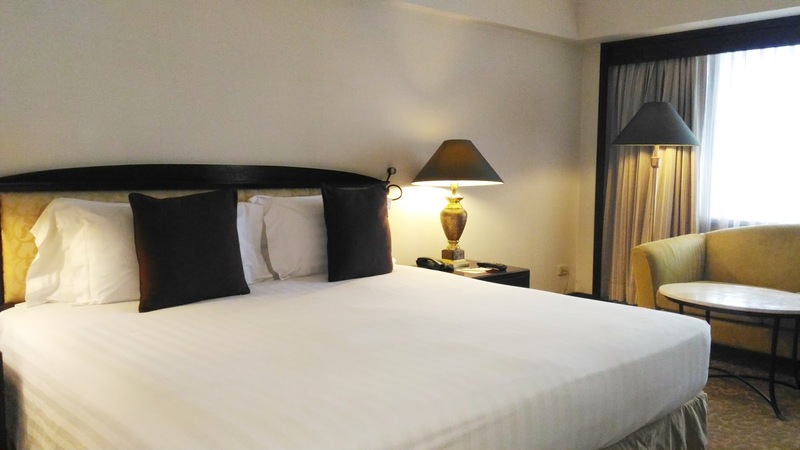 Is Dusit Thani Manila a gay-friendly hotel? According to my experience, hotels and residences here in the Philippines are gay-friendly. 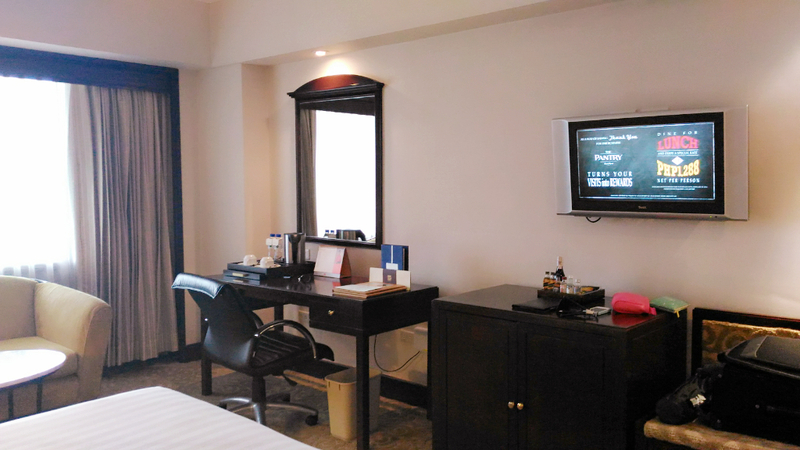 Hotel personnel and staffs treats you with respect as their valuable guest, and as a human being. Also we can’t please everybody (like you might feel someone is staring at you from head-to-toe and judging / assessing you through stare) sometimes people can’t helped it, but at least I haven’t encounter or saw someone discriminates a guest because he/she is gay. And I haven’t encounter or heard an incident wherein someone rush to the hotel and started killing gay people (just like some incidents in US). We Asians are still respectable people. So I’m ending this post with my before bedtime selfie, done with my bedtime skincare routine and also just finished talking with my boyfriend who’s now in Tokyo. 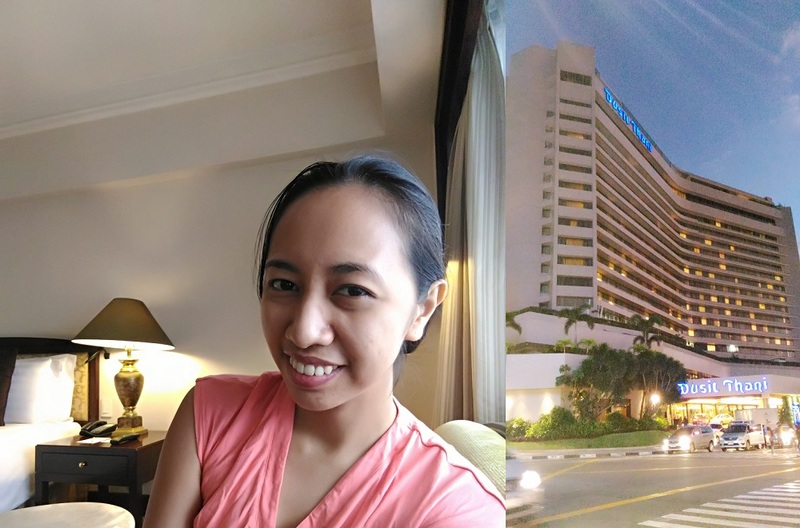 So if you are looking for a nice staycation in the Metro, I recommend Dusit Thani Manila for you. You’ll never regret their Thai hospitality, and plus you’ll gonna have a whole lot of fun! Now this is somewhere I would love to stay at. It looks nice and it would be great to spend a weekend there. It is nice to enjoy luxury away from home to clear your mind and be inspired. it makes me feel more inspired, plus I can get more opportunities for OOTD shots! Now this is a place I wouldn't mind staying at when in Manila! Thanks for sharing your experience there! The breakfast looks delicious and the bed seems to be super comfy! thanks! There are lots of food selection, but I only tried these.. If you are into meat and fishes, they also cover those. Looks lovely! A staycation is a great idea, especially in a place this luxurious. I wish I knew about this hotel when I was making my stopovers in Manila in January and March. This place is so much better than the ones I stayed in. Love your review. I think you've definitely inspired me to try a staycation of my own! I have the same problem as you when I try to concentrate at home - I always get so distracted! A staycation sounds like the perfect way to get through a good chunk of work in a beautiful, relaxing environment! Thanks! at first I did this once in a month... but now it seems addicting! I have been more and more considering doing a staycation. I couldn't get my head wrapped around paying to stay somewhere close to home because I could be at home but with the desire to 'get away' more influenced my desire to do a staycation more. there is more luxurious hotel that I've stayed recently, and Dusit Thani I may say is just a little luxurious compared to that new hotel. I will share it here soon! What a posh hotel! I also love getting pampered and having my own bathtub. I can't always afford it but when I can it's worth it. And the breakfast looks yummy too! The one thing I really like about this hotel is it's tea stall. Definitely looks amazing! The hotel looks really good. Thanks for this post. Thanks for visiting! I totally agree :D so eye-catchy! Wow this hotel looks grand, spacious and elegant. I am travelling to Manila for work in November so will definitely keep this in mind! It is in the heart of the business district and every places are just walking distance. That does look like a very lovely place to stay and just relax. I too like to be alone and i don't get lonely. It's nice to just switch off. Oh I totally get why you chose to go there. If I was in that part of the world, I would have gone there, too. And you will also have a relax and awesome weekend :) Thanks for visiting Momma! I love the whole idea of a StayCation! Takes out all the stress of a holiday, just chill and relax. Your room looks amazing and 30% off?? GIRL! Fab. Yeah it was a great deal! Wow! That hotel looks amazing! So many great features! It is no wonder that was your go-to spot for a relaxing weekend! I'd love this hotel too! And that breakfast? Yum! The tea section is neat to look at. What a luxurious hotel. It think it's nice to spend some time away from home. Almost feels like a bit of a holiday. 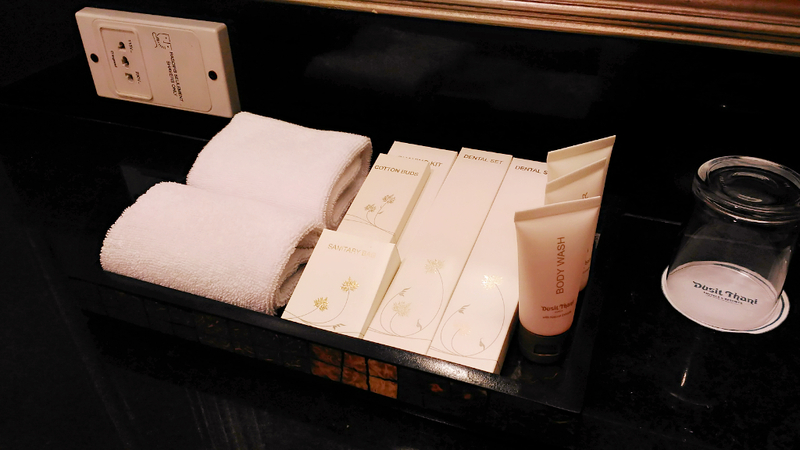 It looks like you chose a great hotel to stay at! Love the rooms they look so clean and spacious as well as those gold pillars in the main lobby. It looks like you had an amazing time out there. And you look absolutely gorgeous. I really need a staycation of sorts myself sometimes soon. I am a bit burnt out from everything and need to get away. Ah well. It is nice to getaway sometimes, and recharge your energy. Thus it will help you to motivate MORE! I actually know the owner of the Dust Thani chain of hotels - he went though school with my father! Small world - I'm sure he'd be very glad to hear that you loved his hotel! Yeah Dusit Thani is one of the best. I always enjoy every moment of my stay with them. How can anyone say no to a place like this! It's really beautiful and the room is just so relaxing as well, from the bed to the bathroom! Hahaha yeah and am happy them have a bathtub. It makes the whole room heavenly. I am due for a staycation and it would be nice to spend it in a place like this! It's gorgeous and luxurious! Thank you for visiting Carol. Where would you plan to have your next staycation? Beautiful hotel. I can live my vacation life vicariously through your post. Unfortunately, I can't take a vacation for a while. You must plan ahead and insert it to your busy schedule. Life is too short just to be always busy and working for others gain. This hotel looks really fancy! The lobby is just wonderful! I love seeing all the vibrant pictures around this hotel! I do want to visit this part of the world soon and you are making my decision so much easier! Wow, looks like you had a really wonderful time getting treated like a Queen! I love everything about this place! I've never been one to staycation alone but you make it sound like heaven. Definitely going to have to do one this summer. Staycating in a hotel is a great idea. There is nothing better than being in a nice, clean room that you didn't have to clean yourself! That brunch looks awesome. I agree. But gladly my hotel host is so nice. I enjoyed every moment of it. You always do a great job with your reviews and the images are always so very good. Love this hotel. This looks so relaxing. I wish I leave in the area, because I'll be booking this weekend. Hahaha that's cool and thank you for visiting Tamika. Hey where is your next vacation? This place looks really fancy. I've been to Manila before, but I've never heard of this place before. This is a must visit. Thanks for recommending this place! That hotel looks awesome and the perfect place to get away for a lazy weekend. You take some great pictures!! thank you dear! I love this hotel and hope to visit them soon. This looks like a pretty nice place! I also enjoy hotel staycations, to be honest. They're so relaxing and they make me feel more inspired! So well furnished and modern kinda hotel! Pictures look amazing.. I never got an issue with them, even when times that I drop-by at this hotel just to have a place to rest in Makati or just to hooked-up with their free wifi. What a beautiful hotel. Thanks for sharing. 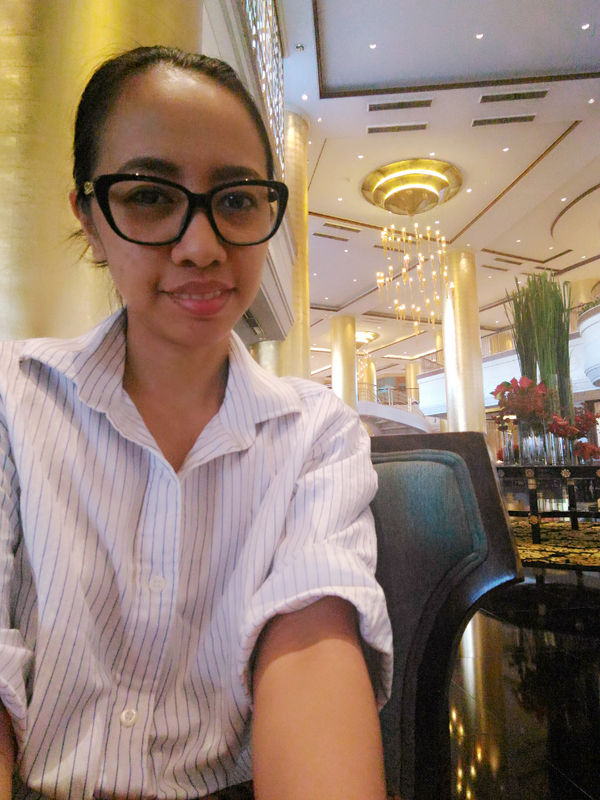 I love Dusit Thani hotel! It's one of the most famous hotels in Manila not to mention expensive. lol. Looks like you had lots of fun! Yeah I did, and yes expensive but worth every moment of my stay. Definitely will come back. Thanks for this! 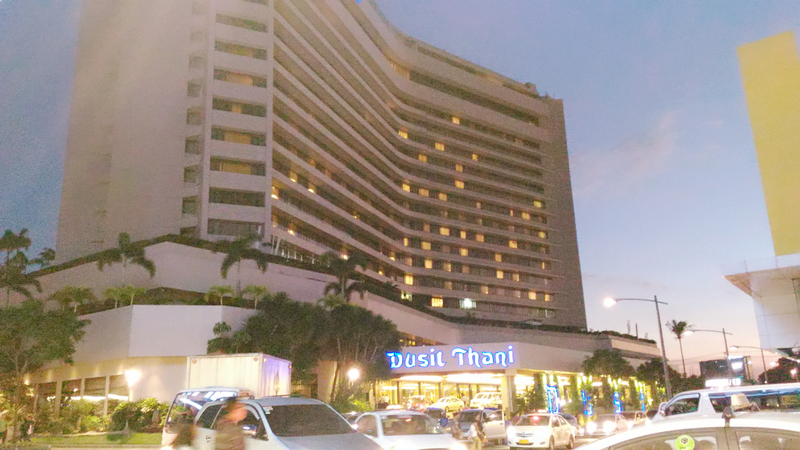 I always wonder about dusit thani. Ive seen this a long time a go and they looked so classy in an old way which I personally like. I guess I will give this a try! Their foods are one of the best. It's good to be in an environment that makes you feel less stressed, and makes you be able to focus on your work, the rooms looks beautiful and I can see just why you are using it as a place to put your inspiration into words, sure it might be expensive, but still if it doesn't cause any stress it is good to do. I agree with you Matija. If my money can't make way to relive my stress then its useless. Great review! 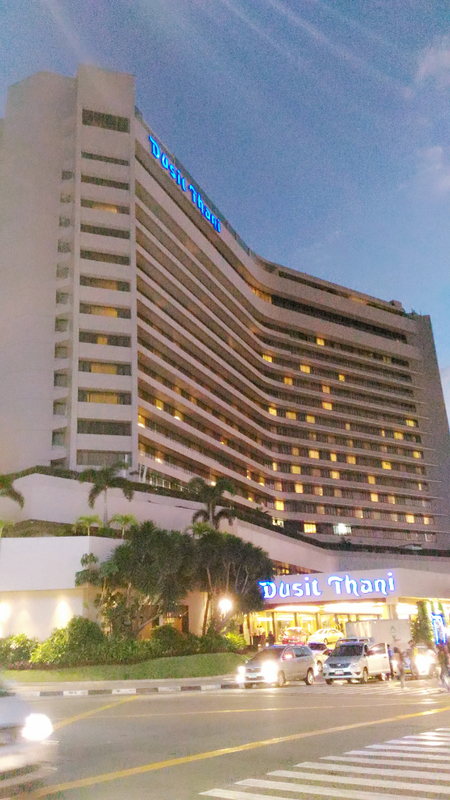 Dusit Thani looks like a perfect hotel for a relaxing stay. I want to try the other Dusit Thani outside the Philippines. 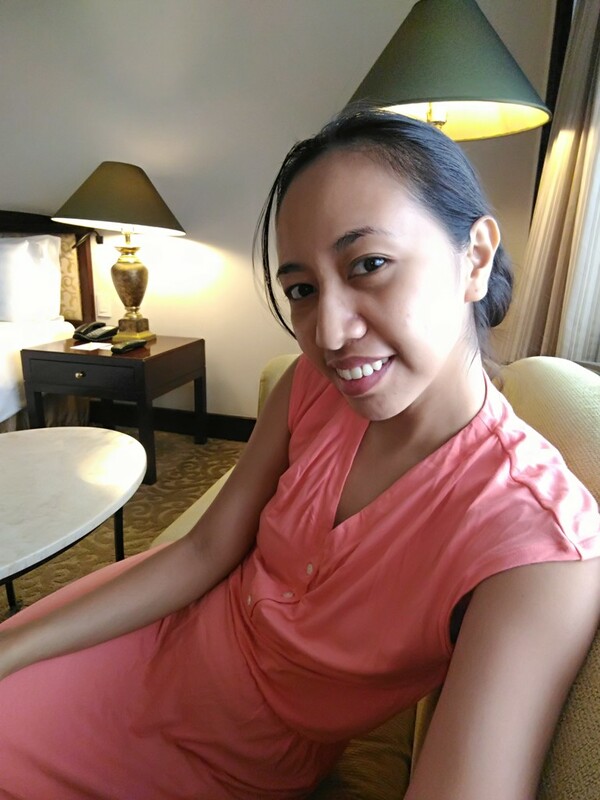 I also enjoy staying around Manila for staycation and one of my favorite hotel is Dusit Thani! ♥ Super accessible and the staffs are all nice! Oh don't forget their foods, I always go back to my room with a full stomach. The hotel is gorgeous. It is amazing that you took time for selfcare that is essential to our health. I made it as part of my lifestyle. Never regret it. Oh my gosh! This is the most beautiful hotel I have ever seen. I would adore a little staycation. I am happy that you like this hotel. I was about to ask you who took the photo in the bath tub haha! I've never thought about bringing my tripod in a hotel staycation. Looks like you had a great stay! On another note, I don't think I can spend 11,000 pesos in just one weekend. hehe! LOL indeed tripod is my ultimate travel buddy. Well, money is nothing and easy to get. The important is the value of it that makes me relax. The higher I spent, the more stress I am, lol. What a beautiful place that it. An unforgettabe experience it must have been. Thank you! Hope they will offer discounted rates so I can avail it again. You sure had a great time.The hotel looks luxurious. The tub picture got me thinking who took your picture, ahh the amazing and lifesaving tripod. I always ring my tripod with me when I travel. Yeah I do that sometimes! They also offers discounted breakfast vouchers.